Researchers in Australia have found that even those now considered normal are at greater risk of the brain shrinkage that comes with type-2 diabetes and is evident in dementia patients. “We found that even within the normal range, and in people without diabetes, higher sugar levels were associated with greater shrinking of the hippocampus,” said Nicolas Cherbuin, head of the brain lab at the Australian National University in Canberra. “If these findings are replicated in other cohorts, norms for blood sugar levels and diabetes may need to be re-examined.” Over four years Cherbuin studied 249 people aged 60-64 whose blood sugar was in the normal range of 4-6.1 millimoles per litre. He found that those in the top of the range were more likely to have loss of brain volume in the hippocampus and the amygdala than those in the lower blood-glucose range. 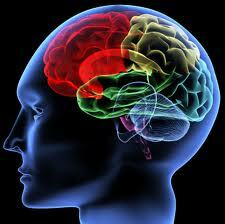 The hippocampus and the amygdala are important to memory and cognitive skills. Type-2 diabetes is often put down to poor lifestyle choices and the same goes for high blood sugar. To ward off brain shrinkage, eat well and get fit — and try and avoid the stressful things in life. “Lack of exercise and chronic stress also affect blood sugar levels and a healthy lifestyle should include regular exercise and avoiding chronic stress,” Cherbuin said.